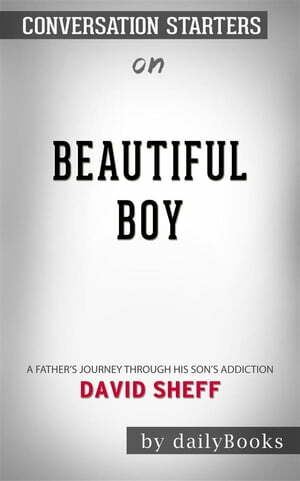 Collins Booksellers - Beautiful Boy: A Father's Journey Through His Son's Addiction by David Sheff | Conversation Starters by dailyBooks, 9788832547177. Buy this book online. His son Nic had a wonderful childhood. Intelligent and athletic, David Sheff knows that Nic has a promising future because he is excellent in everything he focuses on. But as his son grew older, he turned into an adolescent full of angst and confusion which led to his experimentation with drugs. Taking mood stabilizers and enhancers became a way of life. Eventually, he got addicted to meth. Will David be able to save Nic from his addiction? Beautiful Boy became a #1 bestseller in the New York Times list. It was named by Entertainment Weekly as the #1 Best Nonfiction Book of 2008 while Barnes & Noble awarded it 2008's Discover Great New Writers Award for nonfiction. It is the basis for the film Beautiful Boy which was released on October 2018. The movie features actors Steve Carell who plays David Sheff and Timothée Chalamet as Nic.